The massive tour will kick-off in Plymouth before hitting the road for five weeks, visiting venues across the UK & Ireland including London’s The O2, before finally wrapping up with a show in Bournemouth in June. The British four-piece will be joined by pop-rock trio New Hope Club, with rising-star HRVY joining them on selected dates only. 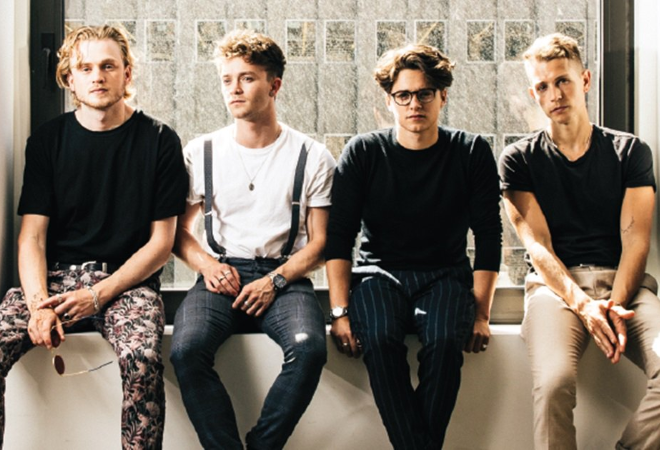 The Vamps recently shared new single ‘Just My Type’, taken from their highly anticipated album Night & Day (Day Edition), due out for release on 13 July 2018. The record will also feature their hit single ‘Personal’ with Maggie Lindemann alongside other new tracks such as ‘Too Good To Be True’ with Danny Avila and Machine Gun Kelly. The Vamps have over two billion global streams, 8.4 million monthly listeners and 1.7 million followers on Spotify. Their hit single ‘All Night’ has been accumulated 342 million streams on Spotify. They are one of the most watched artists on YouTube, with over 600 million video views. The album also entered into the Top 10 on iTunes in over 20 countries.